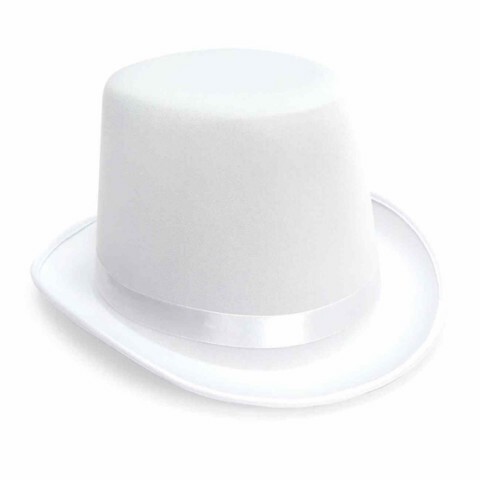 Dress Up Fabric Top Hat White. 29.5 (L) x 25 (W) x 15.5 (H)cm. White. Polyester. 98g Packaging: Hang Tag.